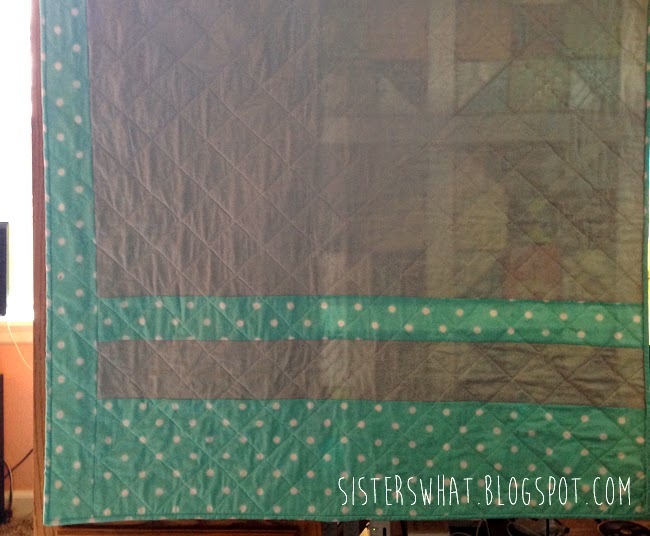 ' Quilting - Pinterest Saturday - Sisters, What! 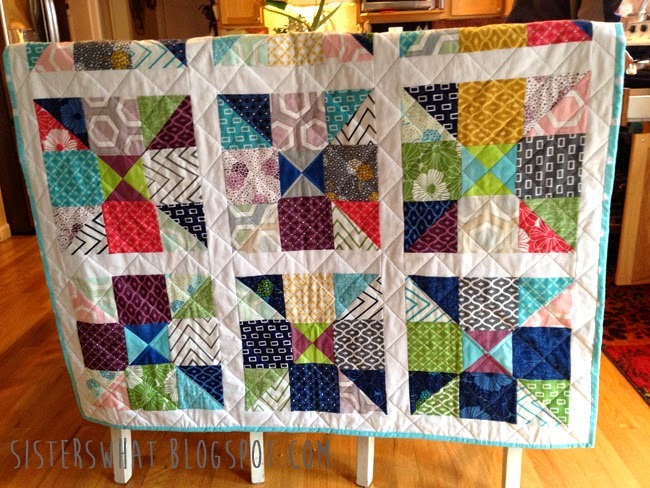 Anjuli asked me to post this quilt for her for our Pinterest Challenge. *the quilt doesn't have a name yet, anyone awesome suggestions? She just started a new job and has been keeping busy, but with anything in life, everyone needs something to bring them some sanity and relaxation. For Anjuli that has been quilting. She found the pattern at Quilting in the Rain while looking for a pattern that used charm packs. Not only that, but she also quilted it herself. 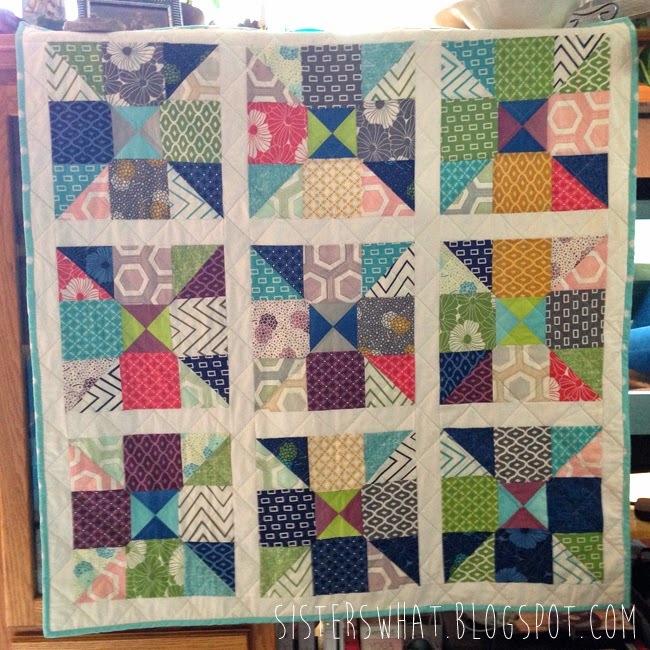 I just love the simplicity of the diamond/square quilting pattern; it goes great with the fabric. One of these days, she's going to help me make another quilt. What a pretty quilt! I love the fabric used. Moda has great fabrics and are one of my favorites.